Home/Gadgets/Android/How to enjoy voice calling through Whatsapp? How to enjoy voice calling through Whatsapp? Today, everything is coming in the hand of the humans due to the massive improvements and advanced technologies in the telecommunication. In the earlier stage of communication facility over the telephone, the people had to be waiting for getting connection for a long time. Currently, the technology improvement is great with the smart phone with lots of applications. There are huge amounts of mobile apps available to be used in the smart phones running at the iOS, Blackberry, or Android platforms. Whether the users are having any type of phone under any mobile operating system, almost all the apps are available for suiting its actual compatibility. Among various apps for smart mobiles, WhatsApp is one of the most popular and preferably used smart phone applications by billions of users all over the world. This app has also been getting frequently development and upgrade options from the beginning to still now. By the end of 2014, this application has introduced in the mobile market. Within few months, it has a maximum reach among several amounts of smart phone users whether their mobile is running at any mobile OS platform. 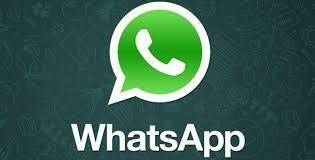 The early versions of WhatsApp application have only instant communication through text messages. As it is very helpful for sending instant messages, this mobile app is also known as messenger on the smart phones. It is truly useful communication app for Android, Blackberry, and even Apple iOS users for immediate communication. Then successive versions of WhatsApp would be upgraded with the new features to send images, videos, and voice messages for the convenient of the users. All these actions are done through this mobile application by using the internet. Without the internet connection, instant communication via WhatsApp will not be made. Every smart phone owner should have to be very conscious in having all time mobile internet connection to receive or send instant messages in WhatsApp messenger from or to others. Voice calling is a new upgraded feature in the latest WhatsApp version 4.0.0 for making voice call through the WhatsApp messenger. It is completely free calling from this mobile application over the internet. It will take only minimum data even the users are speaking for the long times. The smart phone owners can make a call to anyone who resides in the same country to some other country in the world. Currently, this WhatsApp calling exists on the iPhone iOS, Blackberry 10, and Android phones. This voice calling feature of smart phone application is generally using the internet connection of the phone rather than the voice minutes. Data charges will only be minimal for making even long time call. If the individuals would like to enjoy this voice calling feature of WhatsApp messenger in their smart phone, they should immediately download latest version of this mobile application and install on their mobile. Instead of that, they can also directly upgrade their available older version of WhatsApp to the new version 4.0.0 by searching for the updates online and enjoy this voice calling. The LG G4 – Why Is It Better Than Every Other Popular Smartphone In The Market?